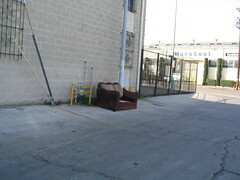 I saw this couch on yesterday’s bike ride. 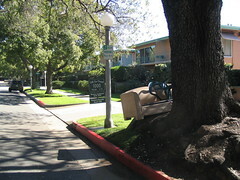 We had just come off the L.A. River bike path at Fletcher, and there was this couch right there. 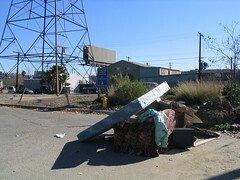 Along with a chair, a mattress, a computer monitor, and some other random trash. 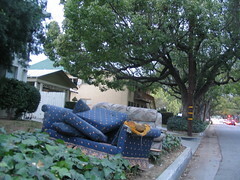 Taken in West Hollywood, Near Santa Monica Blvd. 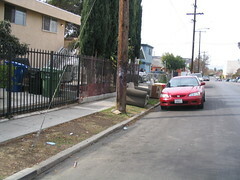 and Crescent Heights Blvd. 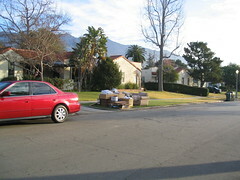 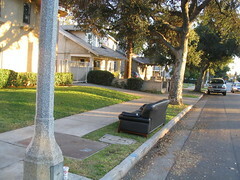 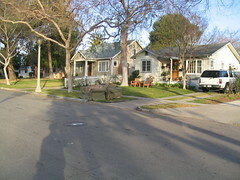 On my way home on Thursday, I spotted this 2-fer set of couches on Wilson Ave in Pasadena. 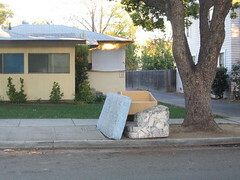 One of them doesn’t look too bad, but the blue one looks like a very large dog was chewing on it. 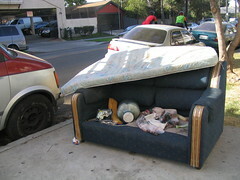 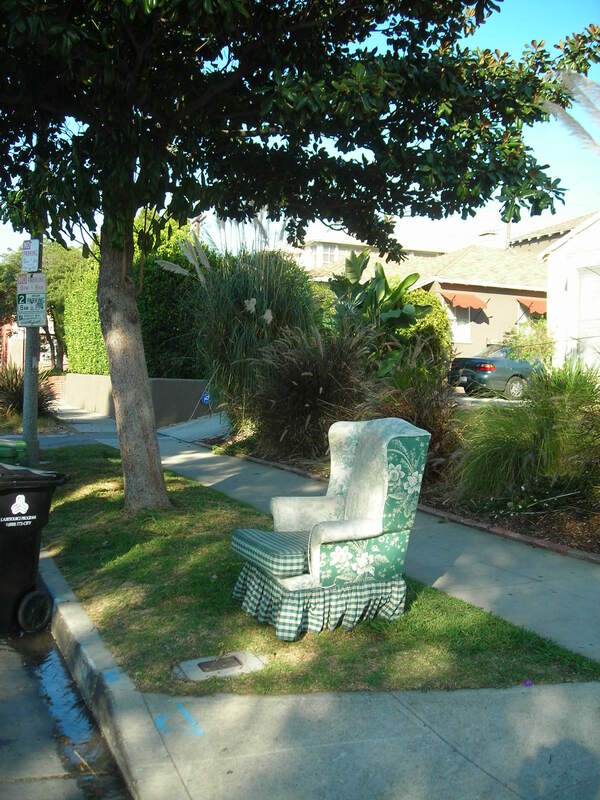 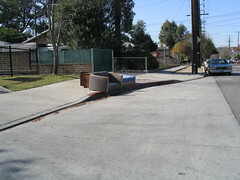 Today’s bike ride through the belly of the beast here in Los Angeles netted three new couches.